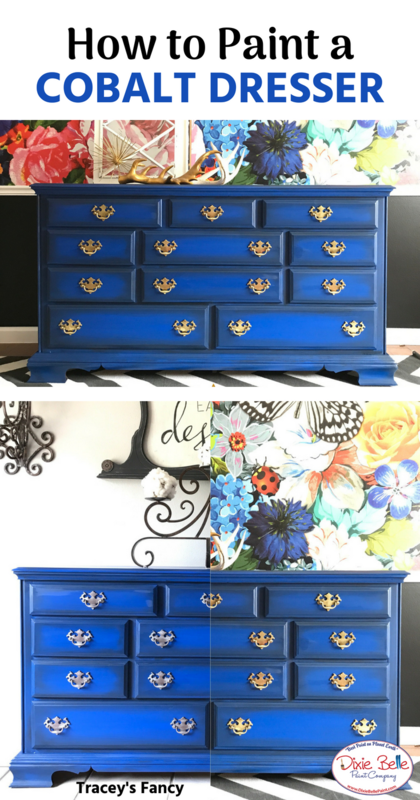 Traceys Fancy painted this dresser with Cobalt, Caviar and Gator Hide. The blue pairs perfectly with the black to create a blended masterpiece. 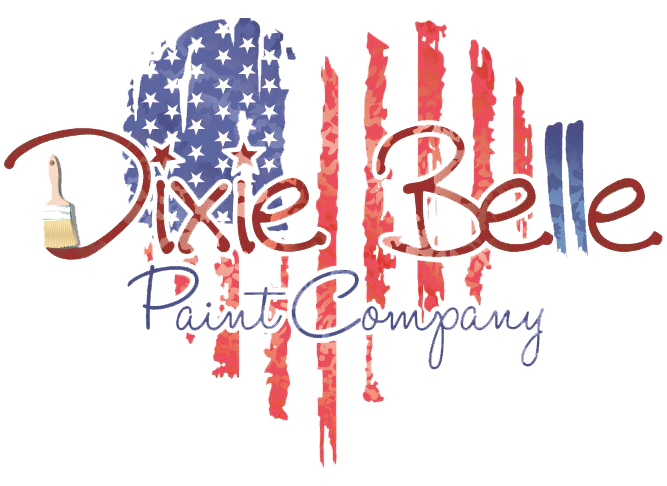 To get all the details, click here! 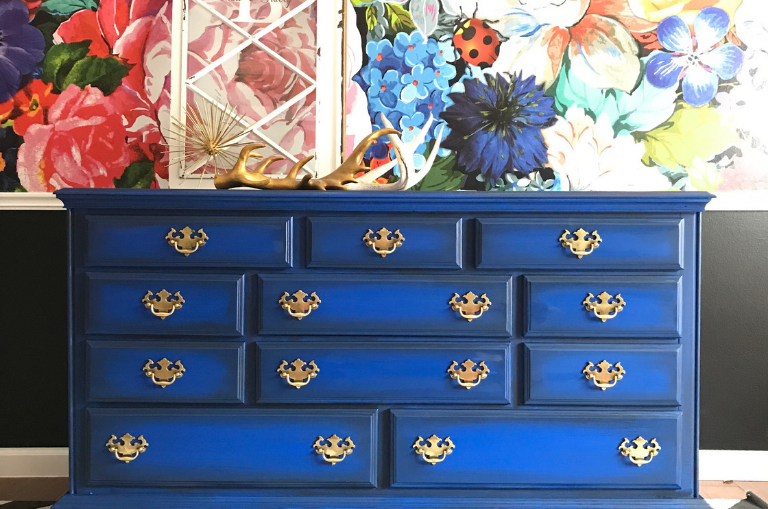 Tracey Bellion is well known for her innovative, brilliant, and over-the-top furniture designs that encompass a Whimsical Wonderland. She loves to paint with playful colors and infuse multiple mixed patterns and textures not usually seen together. Tracey’s signature black and white checkerboard pattern is not only one of her favorite patterns to use to add visual interest, it also serves as a neutral in her furniture designs.